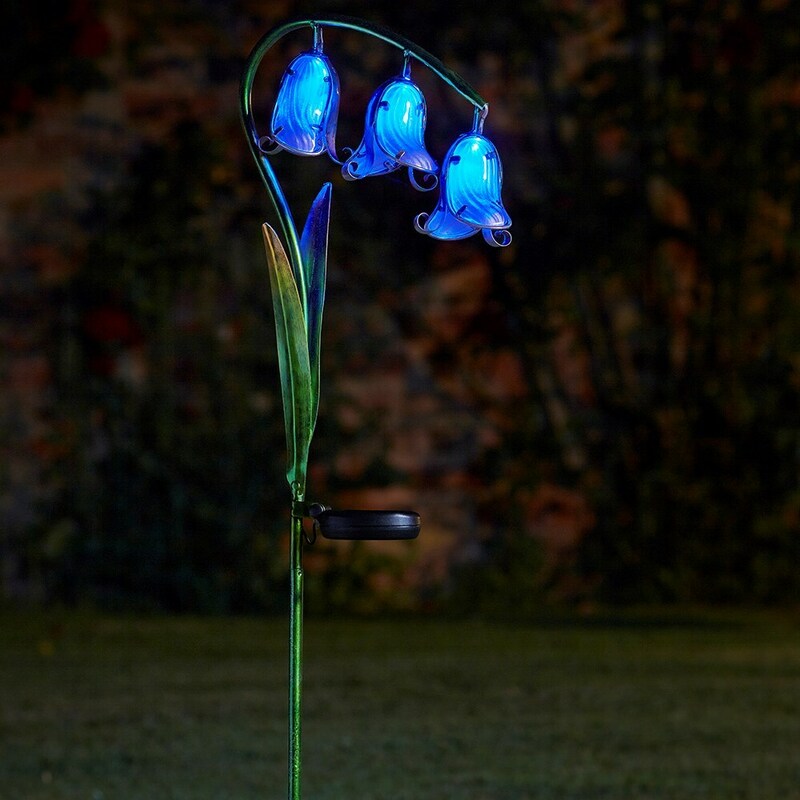 These unique bluebell stake lights add colour to the garden by day and ambience at night. 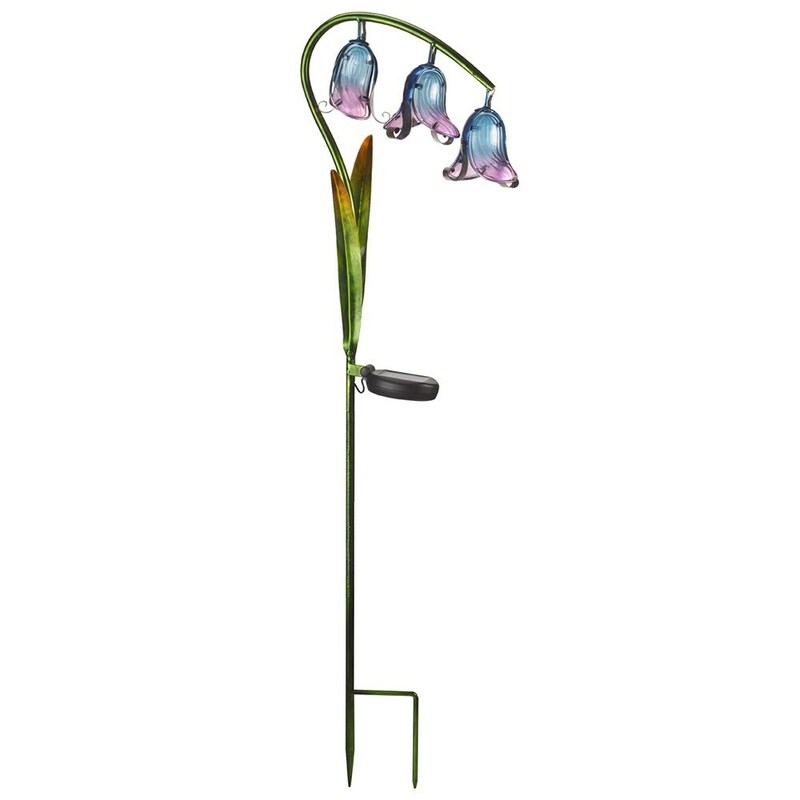 Placed in a pot or border in direct sunlight, the integrated solar panel recharges them fully during the day. 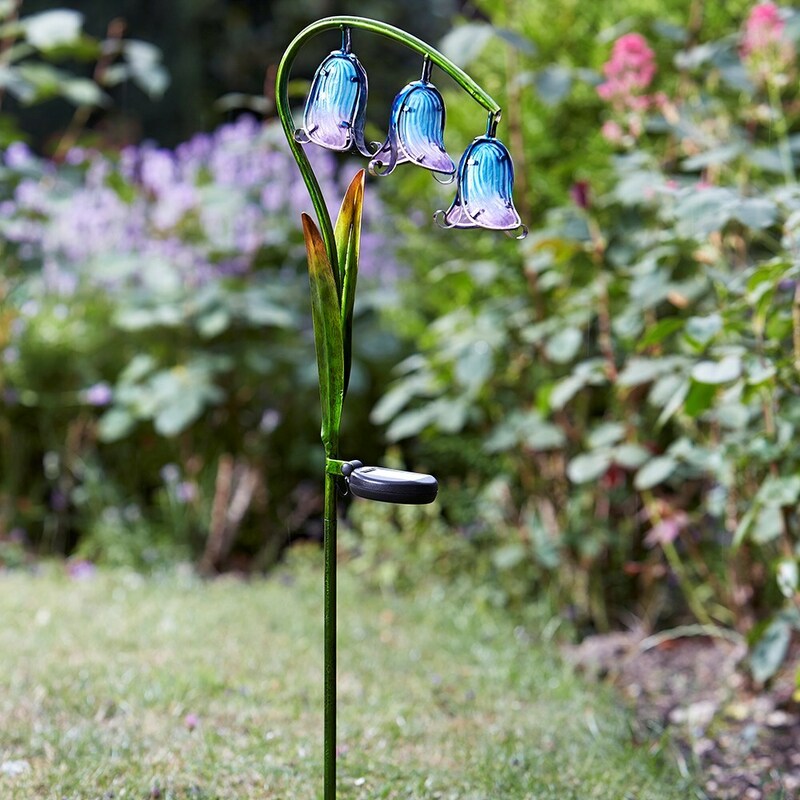 A smart sensor illuminates them automatically at dusk and turns them off at dawn. 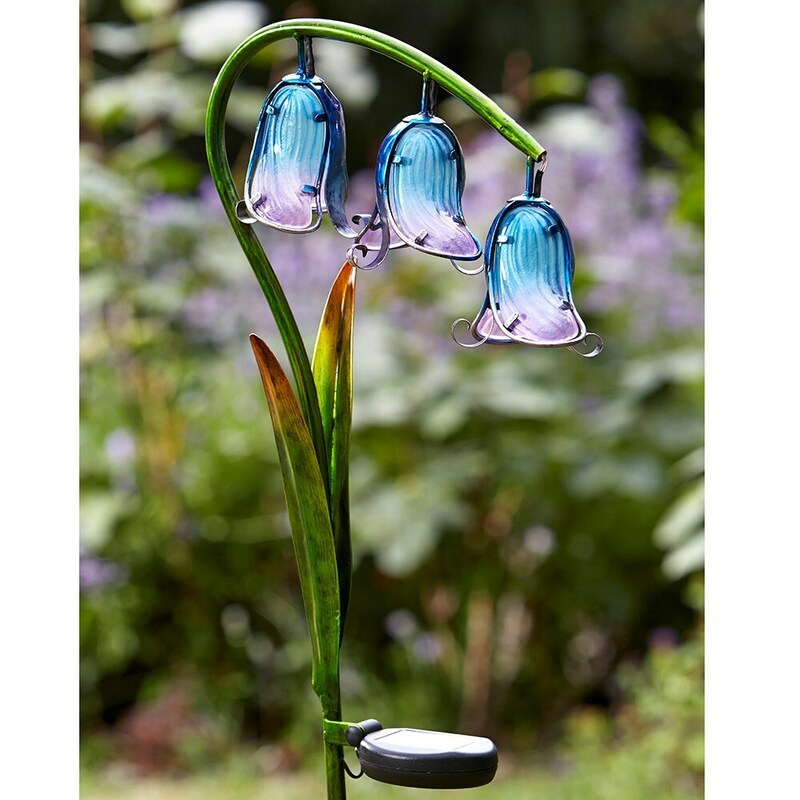 Features glass petals with three blue LEDs. Supplied with one fully charged AA rechargeable battery. Pack of two.